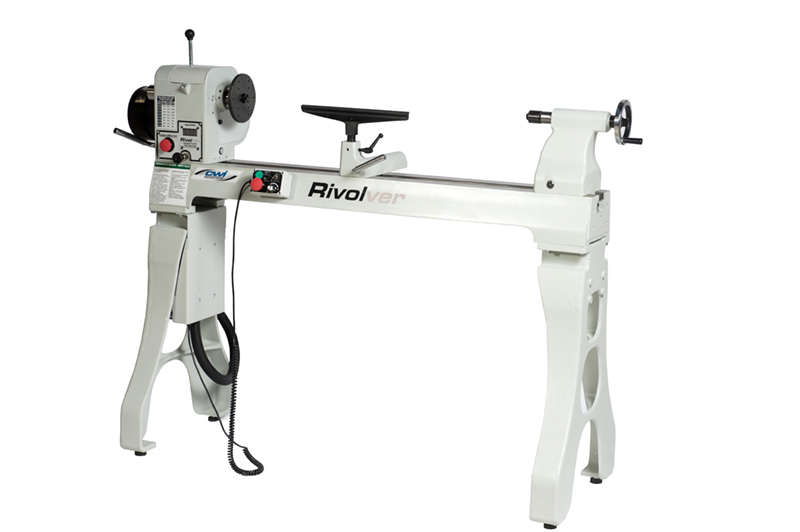 The Rivolver CWI-WL650 is a very high quality floor model wood lathe with a 16” x 43” turning capacity built for educational or experienced users looking for a heavy duty lathe with excellent features and big performance. 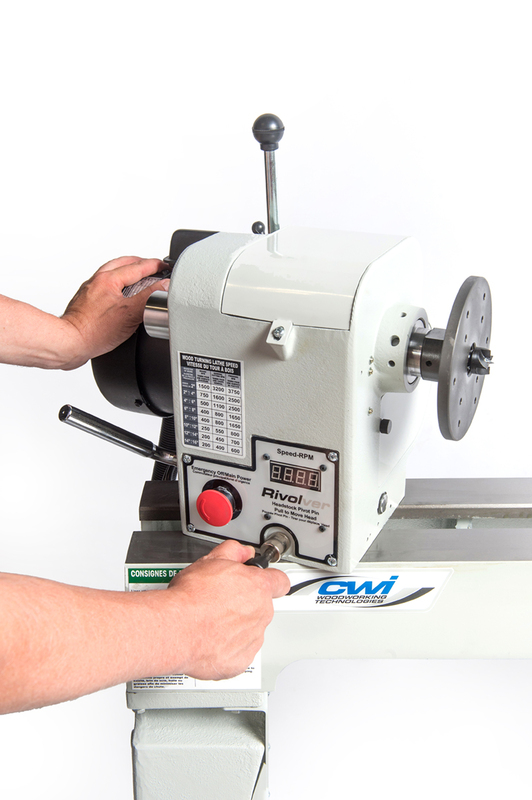 The CWI-WL650 is perfect to tackle almost any project a woodturner could imagine whether turning small projects like pens, candle holders and pepper mills or larger furniture parts, spindles and bowls up to 16” in diameter. 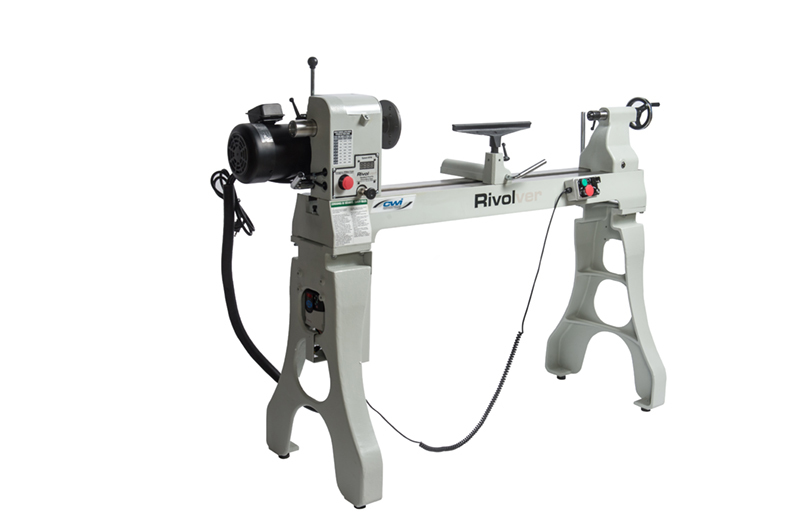 This solid cast iron machine weighs in at 635 pounds for excellent stability when users want to tackle a bigger project and of course runs so smooth it is almost not noticeable the headstock is even turning. 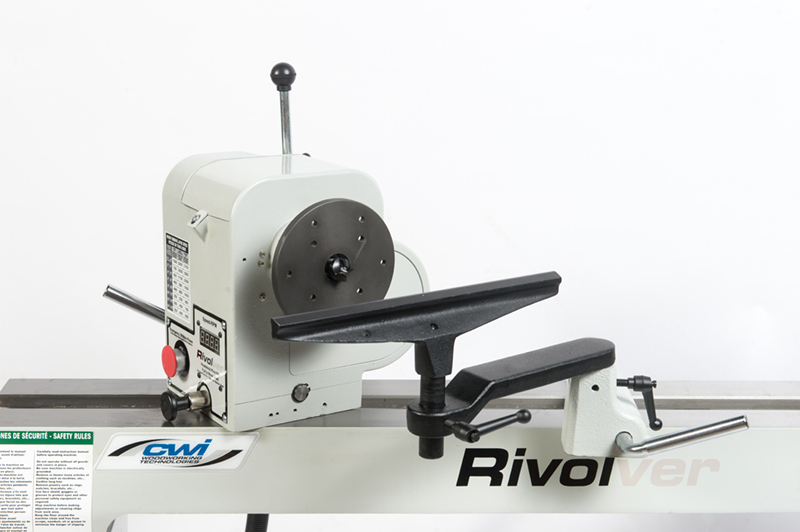 The Rivolver CWI-WL650 is powered by a very strong 2 HP motor which drives a poly flat groove belt in three different speed ranges infinitely variable from 45 to 3750 rpm. The motor is actually a very power efficient three phase motor hooked up to an electronic digital inverter which changes the input power to standard 110 volt single phase but more importantly allows very powerful and accurate adjustment of the speeds without losing torque. 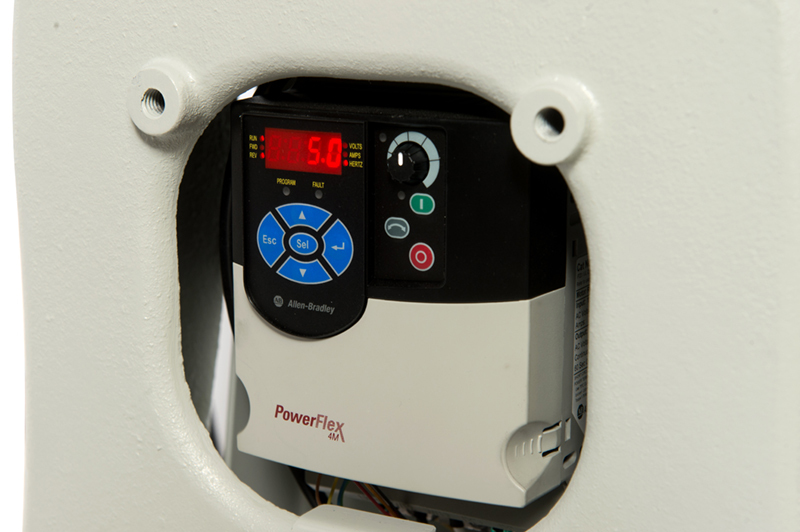 The inverter allows users to still have full power at very slow speeds to tackle the larger projects but still give a great range of speed for higher rpm projects. There is an electronic digital read out which accurately keeps track of the speed for the user as they adjust the rotary speed dial. 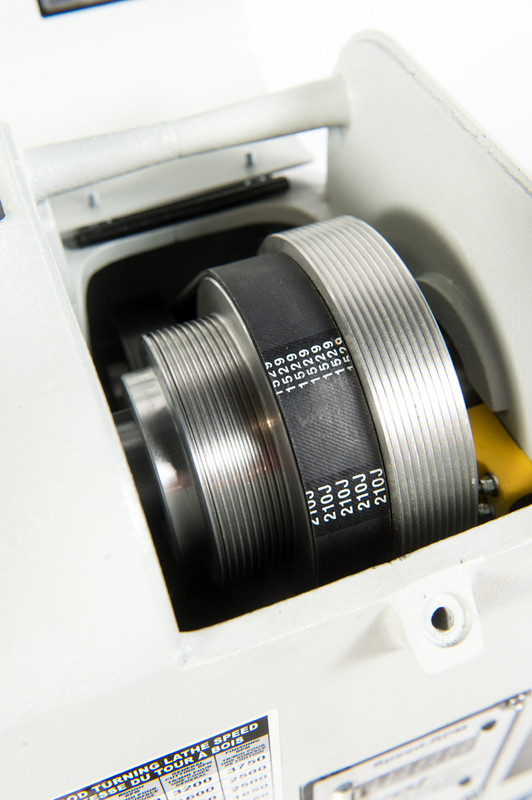 There is a quick release lever to easily allow the user to change between pulleys to alter between the speed ranges of 45-1000 RPM, 85-2000 RPM and 150-3750 RPM. 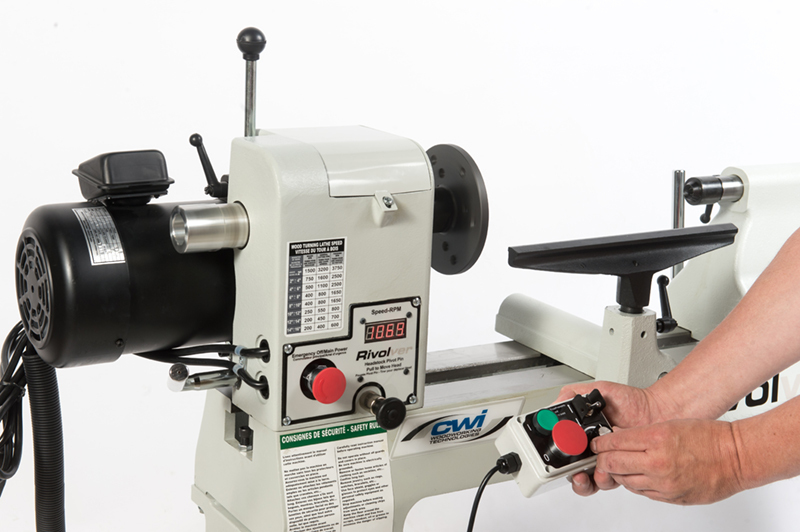 Very unique to the Rivolver CWI-WL650 is the extreme convenience of a moveable control panel which allows the operator to place the main functions of the machine at their side at all times for quick alterations and adjustments. 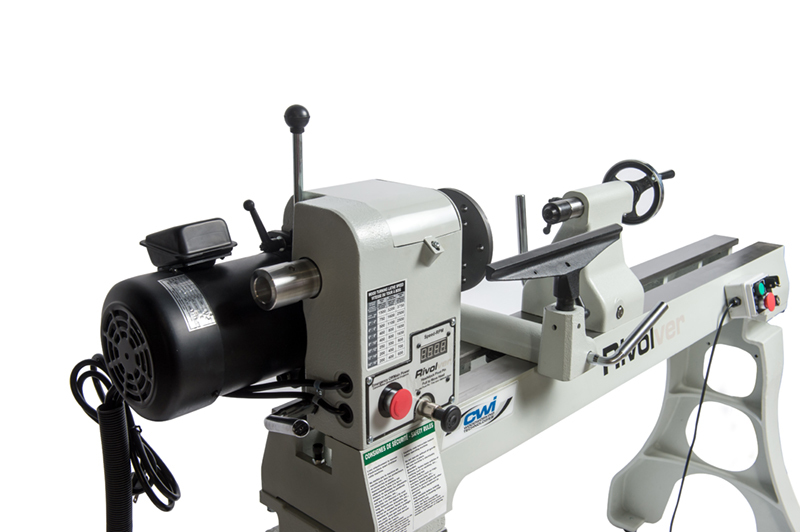 Most wood lathes have the main controls mounted to the headstock or a swivel solid mounted panel. 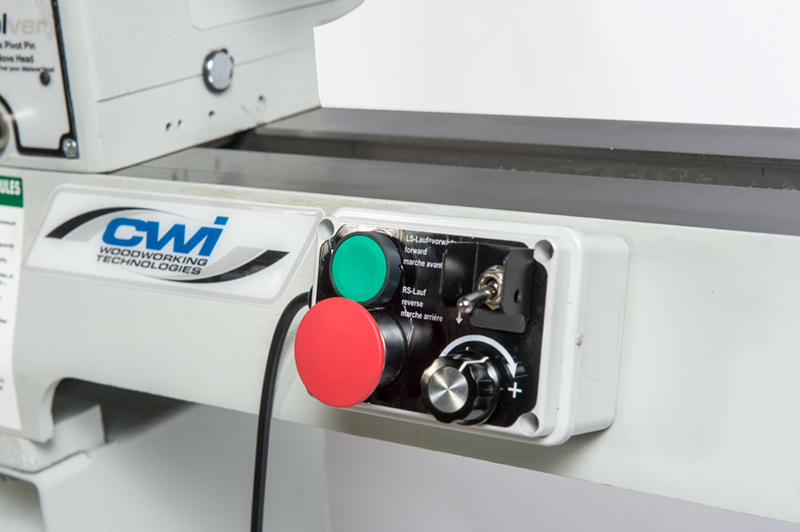 The CWI-WL650 has a magnetic backed control box which includes the variable speed control, forward and reverse switch, start and stop button and an emergency kill button. Simply place the control panel anywhere on the machine convenient to the user instead of having to walk back to the headstock for every adjustment. What a great user inspired feature! The solid locking quick release lever on the headstock allows the user to pivot the head 360 degrees with positive stops at zero, 45, 90, 135, 180 and 270 degrees to allow work with larger bowls and plates. 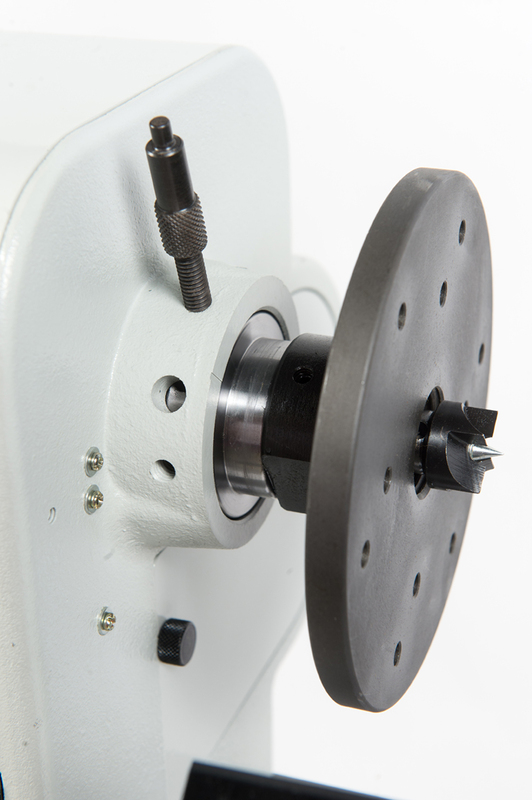 The headstock and tailstock both use #2 Morse taper accessories and the headstock uses a standard 1.25” x 8 TPI thread for adapting standard face plates and lathe chucks. 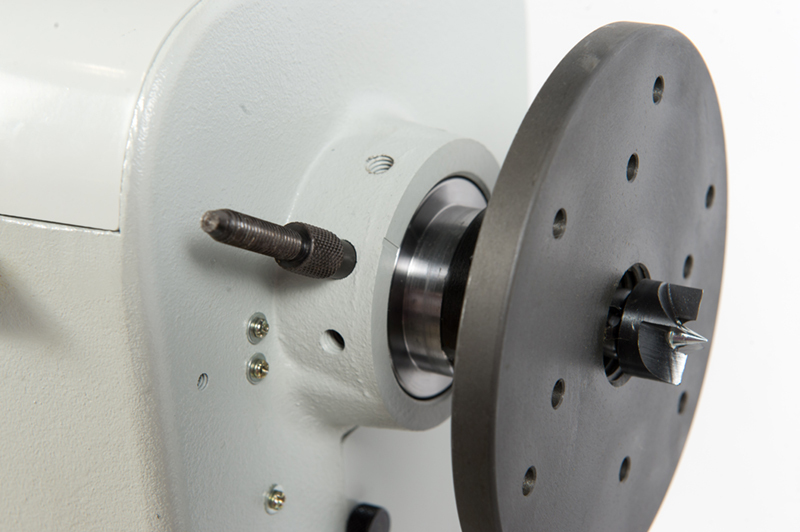 A 6” face plate, spur center, live center and 14” tool rest are supplied standard with the machine. The headstock includes the option of indexing of the work piece in 36 different solid locking positions based on 10 degree increments. The machine sits on two very heavy cast iron legs for amazing stability and allows for an added shelf and tool storage underneath. 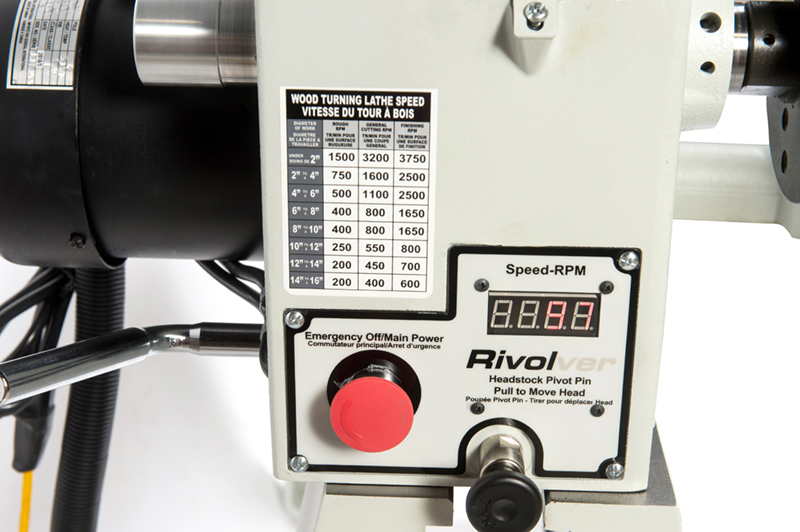 The Rivolver CWI-WL650 floor model wood lathe is truly a work horse for the professional woodturner looking for superior performance in their wood lathe. It is amazingly smooth and accurate and a pleasure to use for any woodturner.